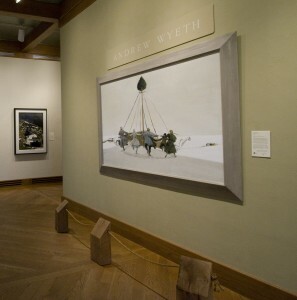 Members and associates of the Kennett Symphony Children’s Chorus will take a tour of the Brandywine River Museum’s Andrew Wyeth gallery for insight into an upcoming premiere performance. Demonstrating the symbiotic relationship of the arts, singers and musicians will visit the Brandywine River Museum Saturday to study paintings that inspired poems that spawned music. Members, parents and staff of the Kennett Symphony Children’s Chorus, which has been in residence for five years at West Chester University, will enjoy a lecture and a tour the museum that will offer insight into an upcoming performance. On Jan. 12, the chorus, which includes four ensembles ranging in age from kindergarten through 12th grade, will perform the premiere of a work by Van Stiefel, a West Chester University associate professor of music theory and composition. Stiefel’s music will accompany three poems by David Livewell of West Deptford, N.J., who based his compositions on three paintings by Andrew Wyeth, the late Chadds Ford icon: Trodden Weed, Me (self-portrait) and Roasted Chestnuts. Museum officials, who are delighted by the initiative, said they expect more than 100 people to participate in the Wyeth tour.